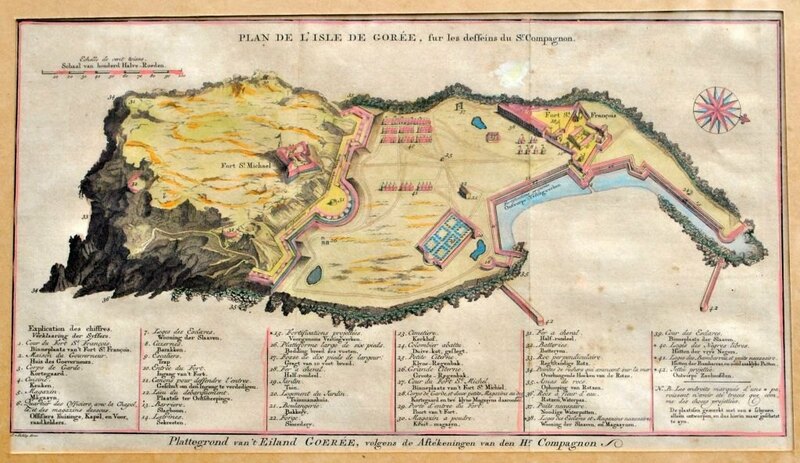 Hand-colored map of the island of Gorèe, 19th century. French edition. With French and Dutch text. 21 x 26 cm. Gorèe is an island off Dakar at Senegal's coast. 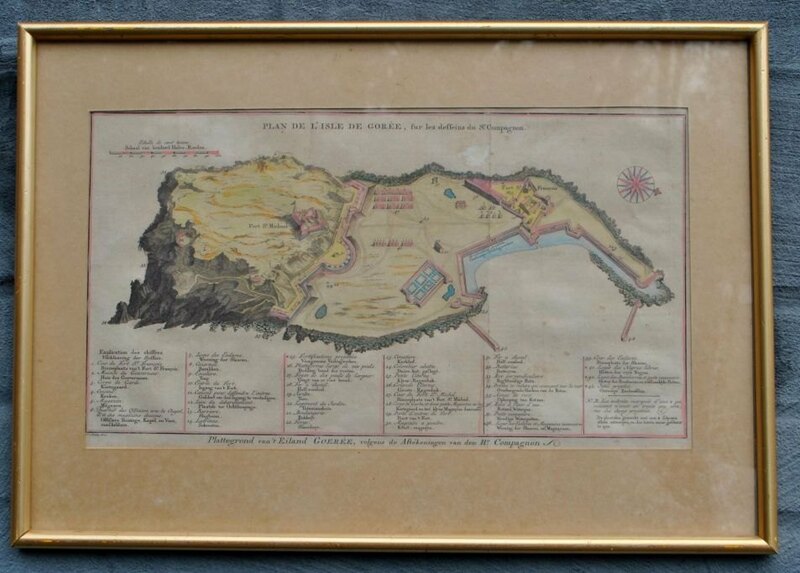 It is best known for the "Slave House", the largest transshipment site for people under the slave trade from the 1400s to the 1800s.